The International Gas Union has a new secretary-general and a new base, Barcelona. Luis Bertran Rafecas is the International Gas Union's secretary-general as of November 1, succeeding Pal Rasmussen, the Norwegian in post since March 2014, the IGU said November 3. Bertran has been IGU’s deputy secretary-general since June 2015, after 20 years at Spain’s Gas Natural. The IGU Secretariat has also relocated from Oslo to Barcelona, with Gas Natural and Spanish gas association Sedigas becoming its new host organisations. IGU President David Carroll, CEO of the US Gas Technology Institute, congratulated Bertran and thanked Rasmussen as well as Statoil for hosting the IGU Secretariat since 2007. 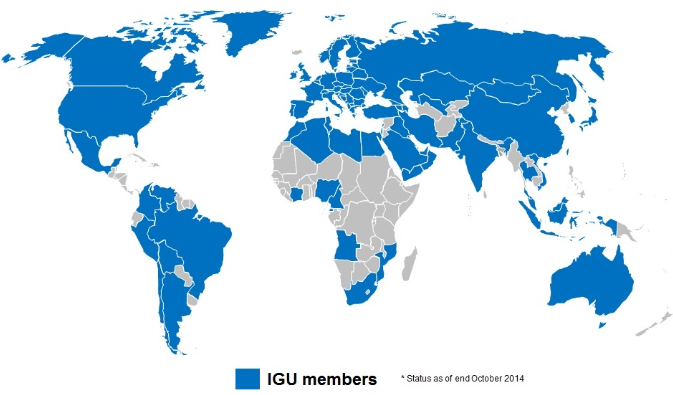 IGU has 148 member companies and associations in 91 countries and since 1931 has promoted the role of natural gas within the world’s energy mix.